Ages and Stages,® LLC began as Diane Bahr's private speech-language pathology practice in 2001. In 2003, her husband Joe Bahr (MS in Business) joined her in expanding the company. 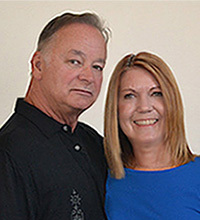 Since that time, Diane and Joe have provided continuing education for speech-language pathologists, occupational therapists, educators, nurses, lactation consultants, dieticians, and many others around the globe. Now, Diane and Joe are moving ahead to fulfill Diane's vision. She wants to educate parents and professionals in the best possible practices, so all children attain the best possible feeding, speech, and mouth development. Her ultimate goal is the prevention of problems that often develop when parents and professionals do not have adequate information. Learn more ABOUT DIANE's vision. Please SUBSCRIBE to our site. As a subscriber, you can suggest blog and course topics, make comments, ask questions, and network with others. We look forward to hearing from, interacting with, and learning more about what you need!